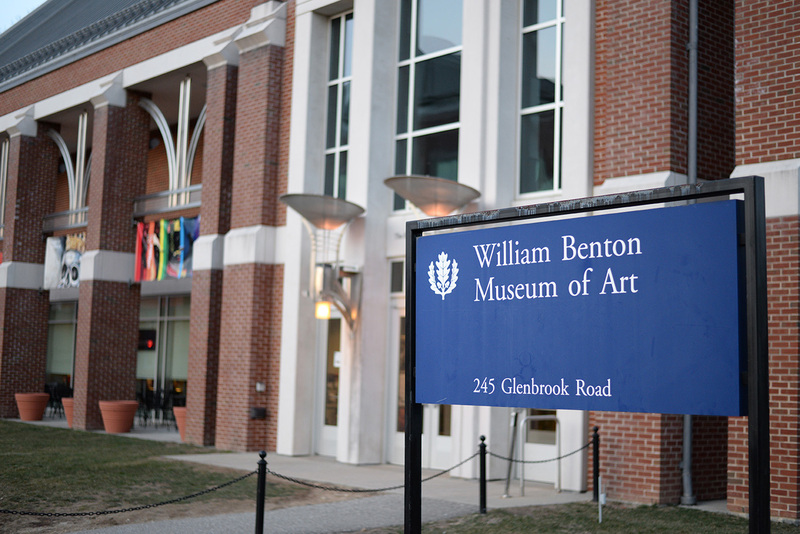 Visit an exhibition at The Benton that was curated by Françoise Dussart’s students in ANTH 3450W. More information on the exhibit can be found in this UCONN Daily Campus article. Read a recently published issue of Journal of Archaeological Science edited by UConn Anthropology alumnus Thomas Hart. This special issue examines new trends in phytolith scholarship and assesses the future direction of this field of research. Congratulations to our graduate student Olivia Marcus, leading author on a study just published in Media, Culture, & Society. 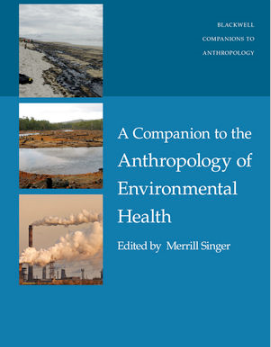 The study was co-authored by UConn Anthropology professor Merrill Singer. Dimitris Xygalatas received a fellowship award from University of Connecticut’s Humanities Institute for the academic year 2016-17. 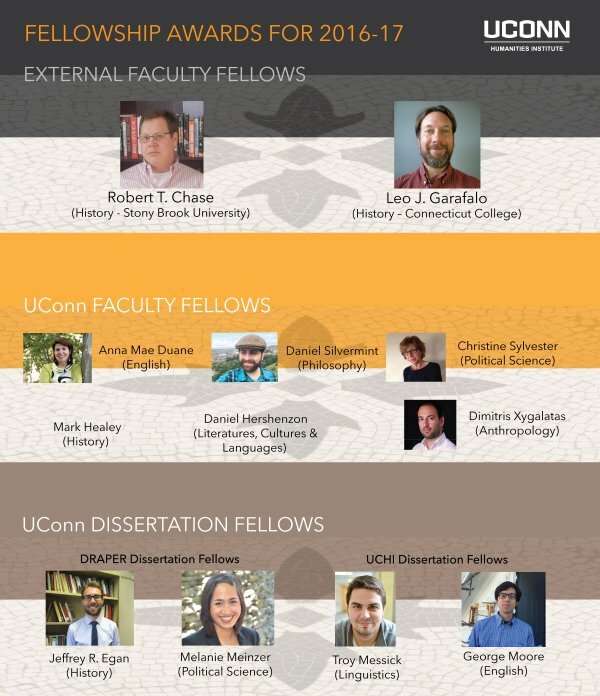 These residential Fellowships allow scholars to pursue advanced work in the humanities. During his tenure at UCHI, Dr. Xygalatas will pursue work on the social functions of ritual. 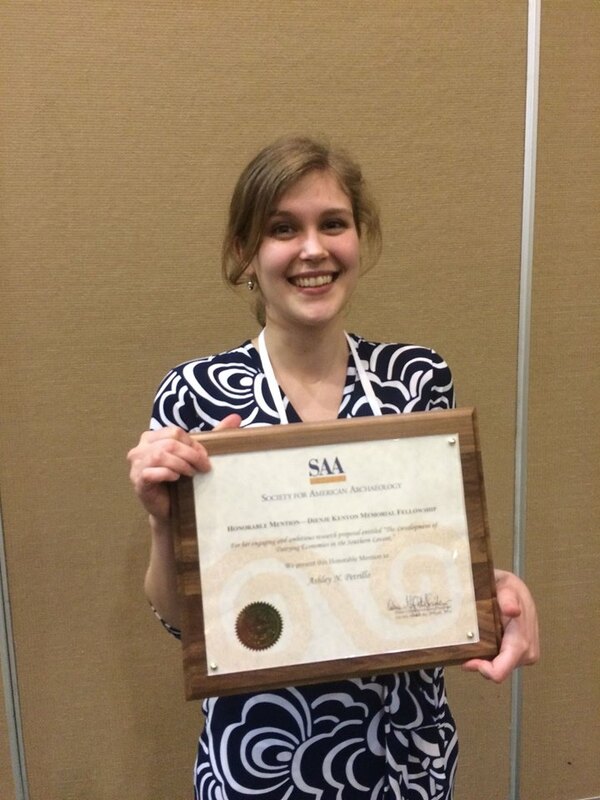 A big congratulations to graduate student, Ashley Petrillo who was awarded an Honorable Mention for the prestigious Dienje Kenyon Fellowship at the Society of American Archaeology Annual Meeting in Orlando last weekend. The Kenyon honors outstanding female students in zooarchaeology. Ashley Petrillo has developed an engaging research proposal on ‘The Development of Dairying Economies in the Southern Levant.’ This study will focus on the nature of dairying and the use of secondary products from the Chalcolithic Period to the Early Bronze Age (c. 4 000-2000 B.C.E. ) which is critical to understanding the rise of social complexity. Milk provided a storable and sustainable source of nutrient rich protein and fats (cheese and yogurt) that could be traded and transported. She will select an array of sheep, goat, and cow dentin samples to conduct stable isotope analyses to explore human weaning and management strategies during this important period of developing complexity. This award hereby acknowledges the importance of her proposed research and its future success. Cancer continues to be leading cause of death for North Americans 85 years and under, despite the fact that oncology research has become the most highly funded medical foci in this country since the 1970s. Indeed, the National Cancer Institute has doled out approximately $100 billion in its – hitherto fruitless – quest for a cancer cure. The publishing of this essay is particularly inspired by the thought-provoking and galvanizing story of James “Rhio” O’Connor, paradigm-shifter, victim of one of the most deadly cancers (mesothelioma) and poster child for the effectiveness of albeit non-FDA approved and controversial alternative treatments to cancer. O’Connor was told he would live no more than 12 months post-diagnosis of the “incurable” cancer. Through adoption of a regimen informed by an integrated mind-body medicine painstakingly similar to Gerson’s (1999) Cancer Therapy approach, O’Connor outlived this prognosis by over half a decade. Commensurate with Rhio’s unconventional remedial approach and “belief in something greater than himself” (“James ‘Rhio’ O’Connor Memorial Scholarship Fund”, 2016) are the healing modalities practiced by a host of Complementary and Alternative Medicine (CAM) practitioners in Botanicas nationwide. This essay is a brief presentation of my work in Boston Botanicas specifically, and historically-rooted power relations inhibiting the full impact of CAM in the treatment of a host of chronic diseases, namely “incurable” cancers. It is widely understood that the traditional medical arena in the United States is fostering ever increasing interest in non-biomedical healing modalities, as evidenced in the raised awareness and practice of alternative and complementary healing systems (Sansgiry, Mhatre & Artani, 2013). Within the past 40 years, the medical landscape of the United States has radically changed. All major cities and many rural areas currently proffer services representative of the biomedical as well as culturally diverse and oftentimes religiously rooted modus operandi to healing. In Boston, for example, a number of CAM healers (e.g., Haitian mambos and oungans, Vietnemese monk shamans, Charismatic Catholic Priests, Episcopalian healing experts, and Pentecostal faith healers) are all within blocks of each other and of the teaching hospitals at Boston University Medical Center. This particular spatial formation in Boston motivates a deeper understanding of power relations and knowledge production prerequisite to problematizing the catch-all term ‘ethnomedicine’. An ethnomedical system derives from a particular set of institutions, and cultural ideologies and practices. All healing practices represent highly specific cultural assumptions and norms in a given time and space. It is critical, therefore, to identify the frameworks or cultural parameters (e.g., cultural, traditional, and/or alternative practices) from which we can understand specific healing practices, such as healing rooted in Catholic doctrine, Cuban cultural practice, and Puerto Rican Spiritism, for instance. The notion that a rich diversity of healing practices are aggregated into the reductionistic category of “ethnomedicine”, with biomedicine standing solo as the reference, is an important indication of the relations of power at stake in the health fields. Several CAM healing traditions, Cuban Santería, for instance, appear to offer a hardy health delivery system and referral network that enhances and works with the biomedical health care system, while occasionally replacing it altogether (Pasquali, 1986; Chavez & Gomez-Beloz, 2001). My primary scholarly interest during my graduate studies was to continue examining institutions, traditional and contemporary healing systems, and problems. My focus thus was to collect oral histories from CAM healers offering curative services in different cultural communities. This report presents my expectations upon entering into the ethnographer’s role, followed by a brief comparative analysis examining my first set of field notes, the raw data collected by previous researchers, and my review of the relevant Botánica and CAM literature, all in the context of CAM’s relevance to cancer treatment in North America. As prefaced, central to this analysis is the overarching aim to unpack the problem of relational power in the fields of healing practices, with particular emphasis on biopower and intersubjectivity in the context of CAM in Botánicas and opportunity for refined approaches towards cancer treatment. My fervor for identifying and examining intersubjectivity, and the effects of biopower in the context of CAM is evident in the questions percolating in my mind as a novice ethnographer. How do CAM healers construct their world and their practices intersubjectively? Do healers within and among healing traditions share best practices? If so, do healers refine their syncretic treatment modalities based on what other healers have adopted? And if not, do they see themselves in competition with either or both fellow community-based CAM healers and/or with practitioners subscribing to biomedical approaches? Do individual CAM healers see themselves as independent, not part of a system, and thus not influenced by Biopower? Michele Foucault coined the construct ‘biopower’, the critique that medicine and public health as emerging fields serve as productive disciplining fields to reproduce the labor force needed for a capitalist system; enter the expert’s examining or medical gaze and “the medically informed life” (1973; 1988, p. 100). Biopower, essentially the act of subjecting human well being to the politically charged impulses of a defectively informed populace, is the state’s power over one’s body, given its reverberating effect on every facet of life – from health to work to education. Biopower informs one of what one can and cannot, and what one should and should not do, and has the power to enforce these ideas via structural, direct, and or cultural violence. Given that fields of healing practices, such as community based CAM, operate from positions of relative disempowerment relative to biomedical enterprises, this last question provokes a number of very interesting sub-questions. Do healers of this practice see themselves as part of the biomedical biopower apparatus? Do they see themselves as subjects of the biopower ‘enterprise’ of disciplining? Is there a deliberate refutation of the biomedical gaze and ways of knowing that is part of a deeper project of refuting the base of legitimacy on which biomedicine is built and on which its power relies? Only when these questions are attended to can changes and improvements be made in our healthcare system and the way we treat cancer in North America. Relatedly, my preliminary analyses point to a poignant theme, specifically the socially constructed function of community-based CAM healers, as understood through services offered to patrons, as well as healers’ perception of their role in relation to the biomedical community. Consistent with Koehler’s (2007) data was one practitioner’s adamant clarification that customers are immediately referred to western trained physicians for medical ailments, though they did not offer examples of such symptoms. Here, I noted CAM healers’, very much like naturopathic doctors’, perpetuation of the western medicine-CAM dichotomy, rather than a partnership, which would otherwise reveal an appreciation for the cancer-eradicating healing opportunities that transpire from marrying the two subfields of medicine. In the previously collected raw data, community-based CAM healers often make sure to differentiate their line of work from that of western medicine. In that same vein, it is interesting that this practitioners distinguished the work of Botánicas as distinct from the work of both Western trained physicians, given, in light of the latter, indisputable commonalities in the approach to ameliorating ailments, both specifically aiming towards more traditionally conceived, ‘natural’ solutions. Launching into ethnographic research, I was particularly interested in learning if community based CAM healers perceive themselves as independent, not part of a system, and thus not influenced by biopower. One can argue that CAM healers do, in fact, perceive themselves as distinct from the mainstream health system, which as an aside inherently gives cancer patients and health practitioners license to explore a diversity of cancer treatments by their own volition, thereby preempting any potential legal liability on the part of conventional medical practitioners. Contrary to perceiving themselves as colluding in a common enterprise with the productive disciplining practices of biomedicine, their existence and continued practice of different forms of healing serve as a form of resistance or refutation of this system of power. This resistance is evidenced by their selection of healing techniques and practices originating from a slew of Afro-Caribbean healing modalities, deliberately distinct from biomedical techniques and doctrine, to generate a composite healing system, unique to the individual healer. Congratulations to our graduate student Sara Ailshire who has been selected for the Hindi Critical Language Scholarship (CLS) Program! This U.S. Department of State Program will allow her to complete intensive language study this summer in Jaipur, India in preparation for her dissertation research. From fire-walking to meditation, and from graduation ceremonies to wine toasting, rituals are everywhere. But what purpose do they serve? Dimitris Xygalatas combines anthropology, science, and technology to answer this question.